The POSConnect Suite employs proprietary technology to provide robust analytics reinforced with video which will eliminate employee theft, shorten customer wait times, and improve operational efficiency. This unique solution integrates with all major POS systems (Micros, Infogenesis, Aloha, etc.) and existing surveillance systems. The POSConnect Suite is an invaluable tool for any hospitality enterprise. The core application which synchronizes video and POS transactional data to identify outlier employee behavior, employee theft and operational anomalies through robust analytics of transactional data. A data analysis service offered to clients who may need extra eyes on their business. LiveAnalyst™ team members are expert data analysts who have years of experience in operations, loss prevention and fraud detection. A combination of optical recognition technology and advanced analytics which yields visitor counts, estimates wait times, estimates potential revenue, optimizes operations and staffing, and improves the guest experience. HotelConnect is eConnect’s premiere product which integrates to existing property management systems allowing operators to see in real-time suspicious and anomalous activties at the front desk. 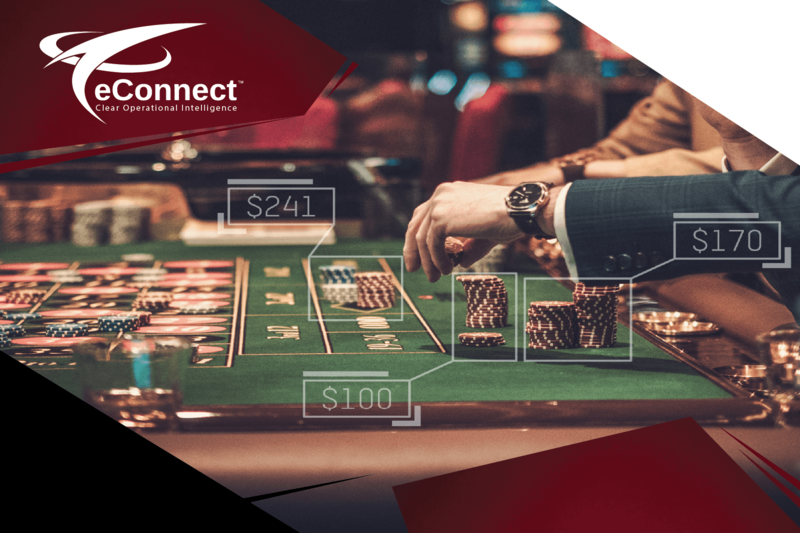 By using computer vision, our software records the precise amount of each bet, the pace of play, and the percentage of player participation.